What kind of debt can life insurance pay for? Quotacy answers this question in this episode of Quotacy Q&A Friday by explaining what happens to your debt when you die and how life insurance can financially protect your family. Welcome to Quotacy’s Q&A Friday, where we answer your life insurance questions. Quotacy is an online life insurance agency where you can get life insurance on your terms. What types of debt can life insurance pay for? Life insurance can ensure that your family isn’t struggling with debt after your death no matter what kind of debt it is. Are there any types of debt that aren’t passed on after death? Typically the only type of debt that is forgiven upon death is federal student loans. Once proof of death is submitted to the loan officer, this debt is discharged. So, what happens to all the other debt in your name after you die? What happens to this debt depends on whether it’s secured or unsecured. Secured debt means that the loan is backed by an asset which the lender can repossess if the balanced isn’t paid as promised. The best example of secured debt is a mortgage loan. If you can’t pay back the loan, the lender can repossess your property and sell it to pay off the loan. An unsecured debt means that you simply promise to pay the balance but there’s not a specific asset serving as collateral that the lenders can take if it’s not paid. Credit cards are a common example of unsecured debt. If you don’t pay what you owe, the lender doesn’t just come and swipe your credit card from you. They get paid by taking legal action against your assets. Let’s take a look in an example. Jim is a 40-year-old husband and father. He has $10,000 remaining on his federal student loans, he has a $200,000 mortgage loan, a $10,000 car loan, and a balance of $8000 on a credit card. Jim dies in a hunting accident. He has no individual life insurance, but he does have a $50,000 group life insurance policy through his employer. He also has a 401(k) with a balance of $70,000. His $10,000 federal student loans will be discharged after his wife Shannon sends in a copy of his death certificate. Shannon is the beneficiary of Jim’s 401(k) and she withdraws $10,000 to pay for Jim’s funeral service. A week later, she receives the group life insurance death benefit check of $50,000. With a portion of this benefit, she pays off the $10,000 car loan because her teenage son needs a vehicle to get to and from high school and his part-time job. Shannon realizes she cannot afford the mortgage on her own. During the probate process, it is determined that the house will need to be sold to pay off debts. 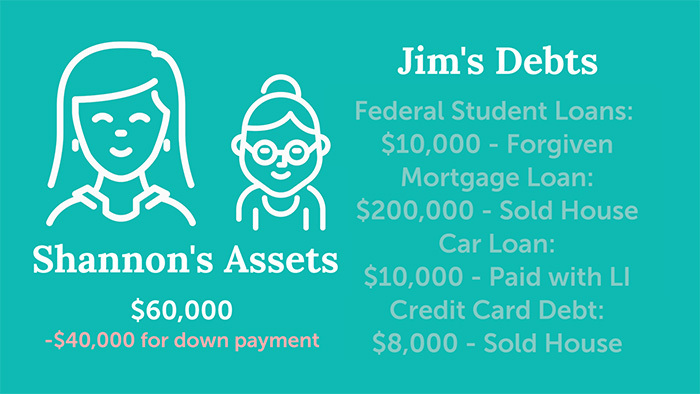 The money acquired during the sale is used to pay off the mortgage loan and Jim’s credit card debt. Shannon and her children move in with her mother-in-law while she looks to buy a more affordable house. She uses the remaining $40,000 from Jim’s group life insurance as a down payment. This example is actually pretty tame. At least Jim had a group life insurance policy, a 401(k), and a mother willing to take in his family. Some family situations are much worse after the sudden and unexpected death of a provider. 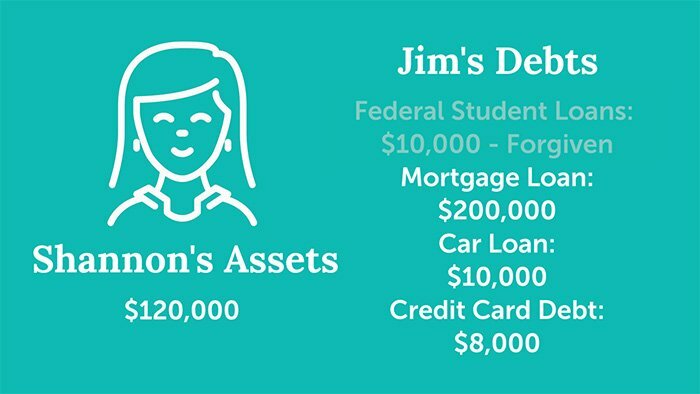 If Jim had had an individual life insurance policy, however, Shannon would have been able to use those proceeds to pay off her mortgage and not have to uproot her family. She also wouldn’t have had to dip into Jim’s 401(k) plan. Term life insurance protects against the what-ifs in life. If you have a family, term life insurance can be life-saving. Term life insurance is very affordable. 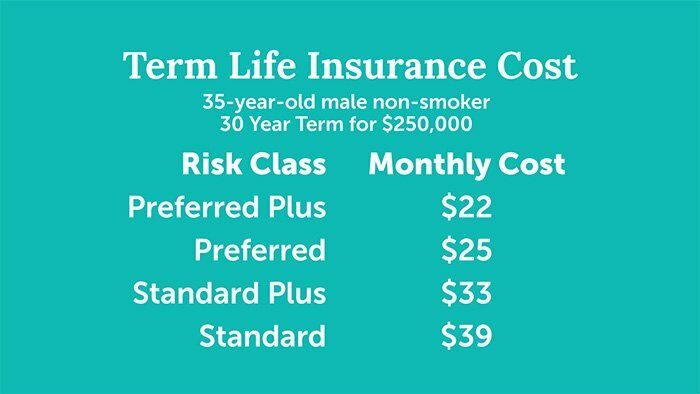 This table shows how much it may have cost Jim if he had purchased a 30-year, $250,000 term life insurance policy at age 35. A term length of 30 years would protect Jim’s family during his earning years and while the mortgage is being paid. 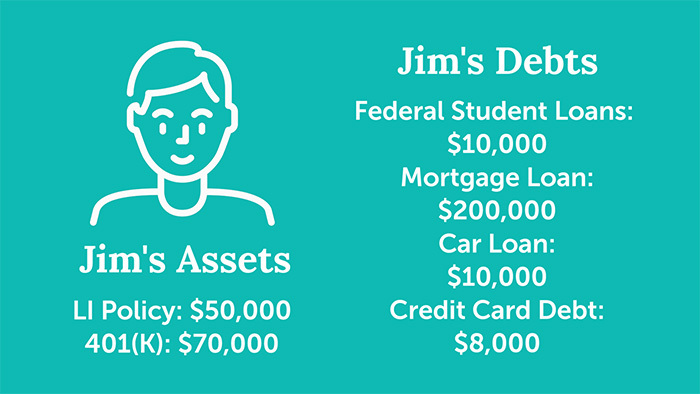 A coverage amount of $250,000 would protect Jim’s family from his debt and leave behind funds for his funeral. Jim’s health and lifestyle at age 35 would determine which risk class he’d belonged to. If he was in good health, had a normal job and hobbies, and had no history of medical complications, he could easily be approved at the best risk class, which is Preferred Plus. He would be assigned to a lower risk class if he was perhaps overweight or had high blood pressure, or worked in a risky occupation, such as a firefighter. If you have any questions about life insurance, make sure to leave us a comment. And if you have any questions regarding today’s topic, check out this blog: What Happens to My Debt When I Die? Otherwise, tune in next time when we talk about how start-up business owners can get life insurance. Bye!